Known for having gloriously long summers and equally as glorious golden beaches, it’s really no surprise that Costa Brava holidays are such popular options. 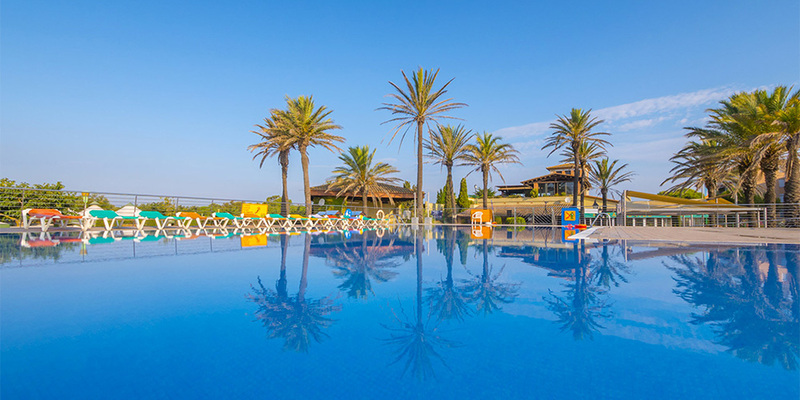 The laid-back lifestyle and ease of getting there also makes it a sublime destination for those hoping to embark on a memorable camping holiday in Spain. 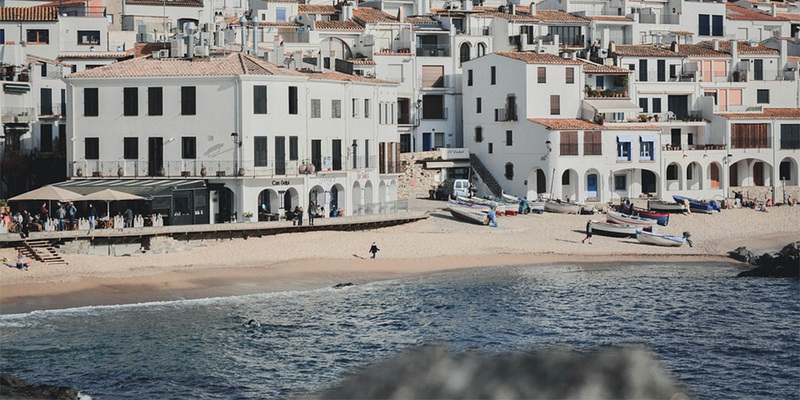 While part of the Costa Brava coastline has been developed into popular tourist resorts, other parts have kept a more traditional aesthetic. You’ll find plenty of typically Spanish towns and villages waiting to be discovered by holidaymakers after more than just sand and sangria. Medes Islands - A group of small rocky islands, just off the coastal town of L’Estartit, that are superb for boat trips and scuba diving. Figueres - Best known for the Dalí Theatre-Museum, Figueres also has a toy museum. The vast 18th century fort above the town – the Castell de Sant Ferran – is additionally the largest building in Catalonia. Caella de Palafrugell - Famous for the traditional Voltes (archways) and the Havaneres - Cuban sea shanties brought back by sailors. Gerona - Capital of the region and a beautiful city that’s best explored on foot. Climb the steps to the cathedral, visit the Arab Baths and experience the breath-taking views from the city walls. Tamariu - A charming fishing village named for the local tamarisk trees. Enjoy a stroll along the sandy beach and a dip in the clear waters of the bay before settling down for lunch in one of the charming restaurants that line the promenade. Known as the wild coast, the Costa Brava region in Catalonia stretches from Blanes to the French Border. It’s a beautiful area, combining fantastic scenery and charming villages with some of Spain’s best beaches. Before booking your holiday to the Costa Brava, it’s worth knowing that the sunny region is split into four main areas. Alt Empordá is the most northerly and it’s known for its areas of outstanding natural beauty and scattering of sleepy coastal towns. It’s also where you’ll find the city of Figures that’s home to the immensely popular Dalí Theatre-Museum. 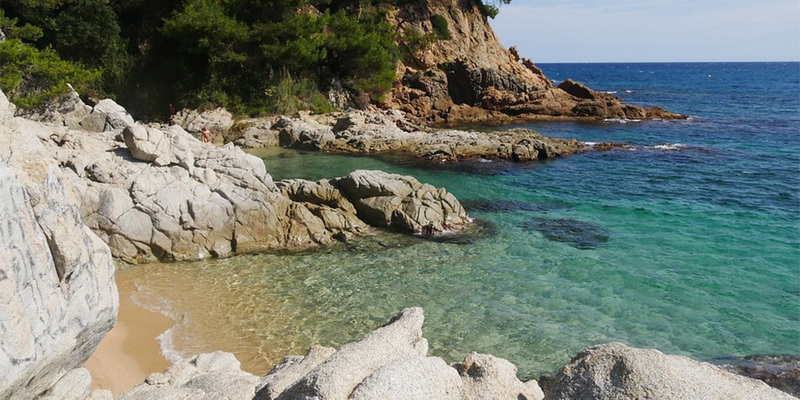 Further south in El Baix Empordá is where you’ll find some of the best beaches on the Costa Brava in addition to the idyllic Medes Islands. Further inland is the historic capital of the wild coast, Girona, while the Costa Brava’s southernmost tip, La Salva, is a region full of great seafood restaurants, stunning botanical gardens and quaint Catalonian villages. If you like the sound of a camping trip in the Spanish sun, you’ll be pleased to know that there’s no shortage of good campsites in the Costa Brava. On the coast, you’ll find sites like Castell D’Aro, which sits just minutes from Playa D’Aro, and Bella Terra that’s a short distance from Blanes and an ideal option for families. Relaxed Nautic Almata is a favourite Costa Brava campsite of many thanks to its position in the beautiful Rosa bay and its close proximity to the Empordá nature reserve. And, if you want a wide choice of beaches within walking distance, Cala Llevado campsite is a fabulous pick with both coastal and mountain views.